Wouldn’t it be great if we had this AI or the next big things! Back in 1977 George Lucas and 20th Century Fox released one of the greatest movies that I have ever seen. To this date, Star Wars: A new hope has made more money for Fox studios than any other film of its time; kudos to you Mr. Lucas! This movie gave us a glimpse of what we might expect in the future and I loved it. Now-a-day, we enjoy some of the devices as shown on Sci-Fi movies and shows such as mobile phones, self-driving cars, and personal computers; but I was hoping for much more. 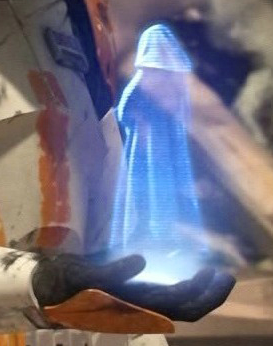 For example, in the Star Wars movies, they had holographic communicators; by now we should at least have see through phones. Why are manufactures having trouble building the products people want? I get it, there are a lot of reasons as to why certain products can’t be built, such as cost, delivery, legal and regulatory rules. However, I have some thoughts on cool apps or products that would be great to have now. Even those that are currently in the works or out in the market aren’t necessarily user friendly or intuitive to the user. This is why I miss Steve Jobs, although I’m not an apple product person, I loved his thinking. Basically, you shouldn’t need instructions, the product should be intuitive on its own. The first time you setup the PC/Laptop/tablet this feature would be available to imprint your phone and finger, no brainier right?! So, why hasn’t Microsoft given this to us? Well, I don’t think they thought of it yet. Instead they decided to work with a USB device that recognizes you through face or finger recognition. But come on, most of us already have a device that securely identifies us, our cell phone or our watch. Or better yet, wouldn’t be great to ask your device’s AI to unlock the computer, door, car, instead of using your finger. The AI should recognize you and do as you have requested. It would be awesome if Alexia/Google/Siri would work like Onstar works in your car. It would be great if today’s AIs were intelligent like C3PO and could talk or text to people as C3PO did in Star Wars. It would be very helpful if you could use your device’s AI to make a call on your behalf. If only your phone could place a food order on your behalf at restaurants or grocery stores. The AI would ask if you’ll be dining-in at the restaurant, pick it up, or if the order should be delivered. If you select dining-in, the AI would ask where you would like to dine, how many people will be joining you, and the approximate time for a reservation. If you select delivery, it would track the order to your door and tell you it has arrived. If you select pick-up, it would track the order and let you know that the order will be ready in the X amount of minutes it will take you to get to that location. Wouldn’t that be great?! 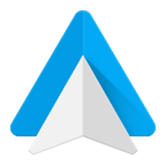 What we need is for Android Auto, Google Android, and the Onstar AI to merge and add some minor functions to make an awesome AI that talks and texts for the customer. Maihnn response… Did you say call Rosati’s Pizza and order 2 large Pizza’s, one with cheese only and the other pizza one half sausage the other half Mushroom and onion; is that correct? Maihnn response… Did you say you would like to make a reservation to eat at The Village Squire tonight? Wouldn’t it be awesome if this and other similar apps really worked this way? The AI to make calls and place orders is not that difficult to program, Apple, Amazon, Google Android and GM Onstar have already completed half the work. The other half should be just as easy by using the customer’s voice or the AI’s to place the actual order and then receive a confirmation from the retailer/restaurant host as feedback to the customer. Hey, Samsung, Apple, Motorola, Microsoft, Intel, Amazon, Google, GM, or VC’s, are you listening? If you need a Portfolio/Program/Software manager to create, design, architect, and manage this, just drop me a note. Some retailers get it, for example, Starbucks has an app that allows you to place your order from your device and pick it up at a specified location. You should be able to do that same thing at all retail stores/restaurants. 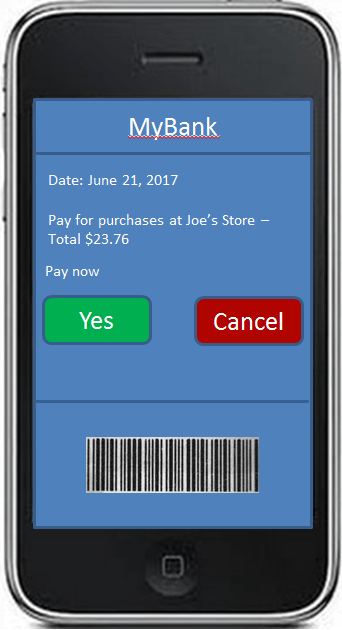 You should be able to use your device to pay for your purchases at any retail location. Currently, American Express, Discover, MasterCard and Visa offer a point-to-pay app for Android and iPhone’s but this is not available everywhere from every POS device. Also, setting this app up should be automatic. Although the Android Pay and Apple pay install and setup is pretty much the same from either app, I had to contact my bank to complete the account linkage. It is a shame that these apps don’t allow me to order and pick-up the way the Starbucks app does. To me, it is a game changer! Wouldn’t be great to withdraw money from an ATM via your phone and have it dispense the funds when you arrive at the ATM. You don’t have to enter a PIN, the ATM would know you and that you were there to pick-up your withdrawal. 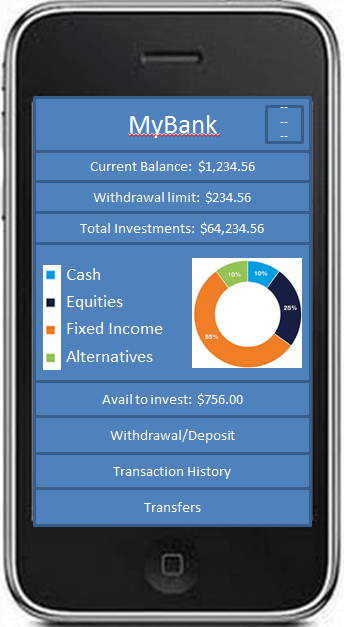 It would be amazing to have an app that looks at spending habits and suggests financial funds to invest in – and if you agree to the suggestions, would actually invest in them on your behalf. Apps that will buy and sell equities based on your ranges and requirements. This would not only include information on dividends, volatility, average shares traded, and cycles; but in equities of your interest based on your spending habits, books and news that you read, searches you perform, and sites that you visit. Mint.com is close to what I would want in a financial app, but it isn’t close enough. The app will look for savings vehicles but not in equities where one can make a lot more money, especially since current savings interest rates are so low. Devices should suggest dinner ideas based on your purchasing habits and they should know what you like and don’t like. However, the app should only do this when you are looking for something to eat. 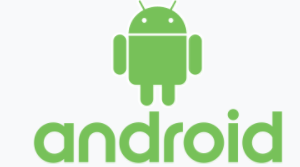 The app should alert you in an android’s voice, “Sir, may I suggest blah, blah, blah”. It would be great to have that Star Wars effect. A device should tell you whether it would be better to walk instead of taking a cab to your next meeting. And if you walk, whether or not you should bring an umbrella. Your device should know if you forgot your train pass or wallet, or know where your keys are – why don’t we have these apps? Alexa, where are my keys? Yes, one could use “Tile”, but why don’t we have transmitters in our current keys? As you can tell by this post, I want more out of the apps and technology that are supported on my phone and other devices. I haven’t even begun to discuss how a new AI app could aid businesses, back-office operations, and employees. There’s a gold mine here. I am passionate about this type of AI, if you are a corporation that is seriously interested in hearing more about or looking to be that next product/app big thing, please drop me a line and we can talk about it in detail. Author typhoon_elb@yahoo.comPosted on July 11, 2017 July 12, 2017 Leave a comment on Wouldn’t it be great if we had this AI or the next big things! I wrote this guide to provide business partners with thoughts on an easy and efficient way to engage their technology partners. 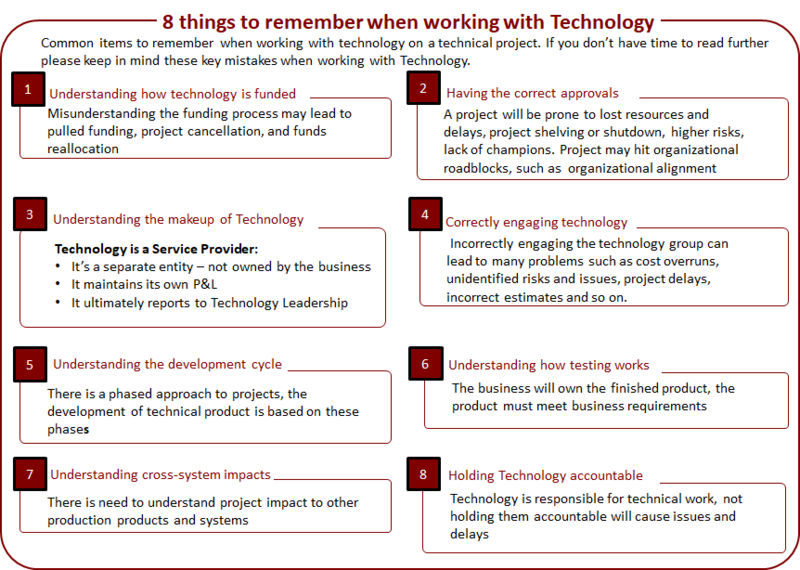 It’s not always easy to embrace technology as it can be rather complex, my aim was to provide a simple guide to working with technology in order to drive project success. Although the post is long, I’m hoping that you find it useful and will share it with others. Just as there are several ways to manage a project, there are many ways to engage in technical projects. In the early to mid 20th century the modern computer was developed. This gave us the advantage of a computational machine that would complete business related tasks in a fraction of the time that it took a human resource to complete. At nearly the same time, computer science related project management became recognized as a discipline instead of the ad-hoc process of managing projects through a scheduled number of tasks. Prior to this time, formal technology engagement was virtually non-existent. An assigned business lead would reach out directly to the technologist and provide them with spec’s on what was to be built. Most of the time the Research and Development group fulfilled the role of the technology group. There were no PC’s at that time and most main frame computers were leased from the major computer manufacturers or universities. As the costs and size of computers came down, the need for project manager engagement with technology began to rise. Organizations discovered the numerous reporting capabilities of systems and requested technical projects from these systems. However, the engagement was undisciplined and unruly causing many delays and setbacks in project completion. Although there are several methodologies, programming languages, and hardware not included in the above timeline, the items listed have had a significant impact on today’s technological advances. With the innovation of the of the modern computer (CPU, memory, and peripherals), technology has moved forward in an unprecedented pace. Technology has the ability to meet business needs at a much faster pace than it did in past. However, the ability to harness that power has been a challenge over the last 60+ years. Machines don’t speak a “human” language, nor do they comprehend human abstract thought. Thus, we rely on human technologists to explain/relay human thoughts to technology. The problem with that is we are all individuals and have unique ideas on how things should work. Applications developed through technology must be carefully planned in order to deliver expected results. Some of this is seen through the business use of methods that were developed specifically for building software applications, i.e. – Waterfall, Spiral, RAD, and Agile methods. Although these methods have their origins in software development, they have become ingrained in project management and are frequently discussed with business partners to ensure that the business receives expected product. Through the 50’s to 70’s the need for a separate Technology team for the average to large company was rare. The equipment was expensive and the technologist were specialized and limited in ability. The existence of business administrative applications were also limited and those that did exist were mainly financial in nature. Because of these limitations, the technology teams that existed were managed and reported to the finance department. The need for technical teams within an organization came about with the mass production of smaller hardware, faster software, the creation of online/mobile applications, and the ability of computers to perform complex tasks. With the rise of modern computing systems, leadership redefined their organizations similar to the image below. Several new departments were created to handle the technical needs. In most current environments, these departments don’t report to business management. This would suggest that these resources are viewed as performing a separate function within the organization and thus work under a separate agenda. This may differ from the businesses itinerary. Technology has a symbiotic relationship with other parts of an organization. It must work hand-in-hand with others to complete finished products. Technology is responsible for producing products based on Business specifications. The Business is responsible for creating products that meet the organization’s objectives. The organizational funding process can be complex as it involves the entire organization. Since it is organization wide, the funding request from each group differs and may lead to disorder between the groups looking for funds. This misalignment usually causes a number of problems for both the business and technology groups, examples of these ‘direct impact’ issues are listed to the right. Projects are expensive, not having startup funds to investigate, the time-frame, requirements, and resources to develop a new product can lead to problems. The business would like to create new products that not only meet customer needs, but follow the organizations direction and turn a profit for the organization. In order to realize the project’s cost benefit, there is a need for a high-level estimate of what the product will cost to build and get into production. There may be a thought that the tech partners will provide such a high-level estimate for free, that is not always the case. Why, because in most cases technology is considered a profit center. This means that the business will need a cost center to bill tech project work, this includes providing high level estimates. If the project has a technical component, the business team will need to engage technology to get an initial project cost estimate. The lack of required project approvals will slow down if not stop project work. Without these approvals, in most cases the project will be doomed for lack of support from stakeholders within the organization. It is key to ensure that those stakeholders impacted by the project support the project. Stakeholders that have a perception the project will negatively impact their world must be notified of the project. They must have a good understanding of how the project will benefit them and the organization. Without stakeholder buy-in, the project is likely to fail. Getting approval up front will aid in project support, even from the nay-sayers. In order to succeed, Technology must work with all parts of an organization. However, as part of that success it must not be tied directly to one specific part of the business. Technology must manage it’s own resources independently to be successful. It shouldn’t be aligned directly with others. Technology uses a complex series of actions and steps to build product. 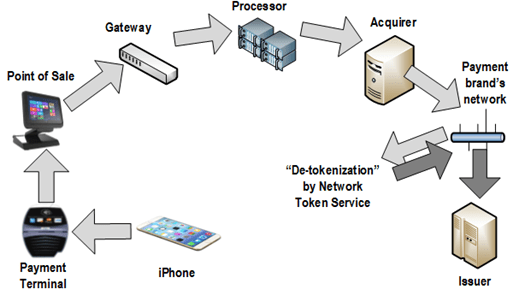 This process has at least five phases and is used as the foundation to successfully meet customer’s requirements. The process includes steps for initiating, planning, designing, estimating, developing, managing, testing, and delivering the final expect product. The process is used to control project budget, risks, issues, resources, and communication. Incorrectly engaging the technology group can lead to many problems such as cost overruns, unidentified risks and issues, project delays, incorrect estimates and so on. Engaging Technology too early can lead to scope creep, funding issues, time delay and additional project costs. You may encounter project bias, early project spend, unneeded resourcing, and unwanted features. Business product managers spend a lot of time researching and developing the right product. The product analysis should be complete prior to engaging technology. Allowing technical influences at this time would cause a deviation from the planned product. SDLC is a process for working through the development of a new product. The final piece is approval and acceptance of the completed product. In past years, technology would perform testing. This included such groups that supported the testing effort. In modern times, testing is managed by test management. This team is responsible for testing the product to ensure the final product meets approved requirements. Testing Management – the Technology PM works with the testing management team to assign a Test Manager. The Test Manager provides the Test Management Plan. Test Managers – Test Managers create the test schedule, review the plan and schedule with the project team, and obtain test planning approvals. Once approved, the testing team will move on to building test cases that tie back to requirements. Developing and implementing new products may have a direct impact on the current organization systems. Depending on the product, the impact can be so great as to impede existing organizational products in production and lead to higher than expected errors and defects. The Test Manager or Project team should have a plan to manage and control cross system project impacts, most larger organizations have a separate group that manages the cross-system impacts. Business partners may be unaware of a department within the organization known as Release Management. Release Management is the team that identifies, manages, and controls project implementation as well as cross-system impacts. Without this type of management, a project may impact another organizational system in such a way as to cause it to fail. Obviously, this would have a negative impact to the organization and needs to be avoided. The inability to hold your technology accountable for their work will cause project delivery issues. Not getting the product you want. Keep in mind, your Technology Partners are there to help you. Contact your IT Director or Program Manager if you have any questions about working with Technology. These resources can aid in pulling in other technological groups (the PMO, Technology, Leadership) as required. Change can be a frightening word to most people, especially when it is used in the context of a corporation. However, we encounter change on a daily basis and we may not even notice it. Change is a part of life and thus it is part of all projects. Projects themselves cause change and because of this change there will be resources that will fear and resist the project. How do you as a good project manager manage to that change? Easy, you engage a change manager. Oh, you don’t have a change manager, well that makes it a little more difficult but not impossible. Managing change in a project can be easy if you add change to your project. What do I mean by that, start with your project charter as it will give clues as to how the project will impact employees and customers alike. I’m going to outline thoughts on determining high level needs and tasks to add to your project plan that address change. This is meant to provide a basic overview of what change management to expect as you plan your project. For clarity sake I’m going to break this down into two separate pieces, the first will talk about determining change. The second will discuss adding possible change tasks to your plan. Setting some ground rules as it’s always easier to work from a foundation. I’ll use a scenario that an organization has standard project classifications, for this discussion the project standards will be broken down into four classifications based on risk and project cost. Please keep in mind, your organization will most likely use different project classification standards. The following figure outlines the classifications used in this article; Class A represents the highest risk and cost classification and on the opposite end, the N/A class is the lowest risk and cost. The reason for classifying projects into these groups is to outline that projects themselves can be classified much like object oriented classes, i.e. they have attributes, they contain functions, they can be governed by other projects or groups, and once instantiated they represent an implemented finished product. See the figure below for a breakdown of a project class. More on this at a later date as the focus of this article is to discuss adding change tasks to projects. Projects are individual or collaborative endeavors that are carefully planned and designed to achieve a particular aim. They are not part of Business as Usual Operations. Now that project classifications have been outlined, the expectation of change in each classification can be discussed. The picture below outlines the amount of expected change per classification. As the project grows in complexity, cost, length, size and risk the requirements to plan for change grow. Thus, the larger need for a change management team and additional planning must be added to your project to combat the change impact that will happen in your project. For those interested in what to expect as ‘Change’ tasks in your project, please read on. So you’re interested in what to add to your project at a high level, in order to address change. To discuss change tasks there is a need to look at how change tools as Change tools aid in understanding how change impacts projects. The project life cycle outlines the phases that we go through to implement a project, the six items listed explain some of the tools that are used to identify change in your projects. Using the outlined tools will aid in determining the amount of change, change level, and when to expect the change in each project. Working through a project change assessment is a first step to understanding the scope and complexity of the change within the project. This type of an evaluation gives the Project Manager a sense of the risk level and amount of change that is expected in the project. High risk levels or large process changes would indicate a larger number of change tasks are needed to complete the project. Also, a Change Manager should be engaged to aid in project development and implementation as indicated. A change story will aid in identifying the change in your projects. Working through the Change Story, the team will uncover issues and risks, create a project story, and describe the What, Why, When, and How that are used to complete the project. The Change Story will be a driver into many of the other documents in the project. The stakeholder assessment will aid in understanding the need for resources, confirm that you have engaged the correct resources, and aid in determining stakeholder influence. Hopefully, this gives a good understanding when and what ,at a high-level, to add to a project plan to account for change. Do you ever feel that your office tools could give you more? Faster, faster, faster, our leaders are pushing and expecting us to produce better and and more accurate results. They explain that you have the tools and the intelligence; you should be able to complete your task in half the time. Managers and office personnel are expected to solve problems, produce artifacts, and improve production at an alarmingly fast pace. How can one be expected to cut productivity times in half without a number of key factors in place, such as standardized processes, accepted policy, training, and enterprise acceptance. Well, not all organizations have such factors in place. Prior to the computer revolution, businesses studied productivity through the use of a manual processes. Using the data that was collected through these studies, the organization was able to improve their current process tenfold to become efficient at producing product. Now that the computer age is in full force, we’ve enjoyed a swing toward automatizing our productivity even further, but we haven’t taken the next step into pushing office productivity to a new level. What did leadership mean when they said that you have the tools? Without directly asking leadership what they meant, my guess is that they mean the office tools that everyone has access to on an everyday basis. I consider Microsoft® Office to be the de facto office productivity tool in the business world since most of the world’s corporate businesses use it. This isn’t to say that there aren’t better tools out there, there may be, but this article is not about comparing the current office productivity tools to each other. It really doesn’t matter which productivity suite your business uses, most users are ill equipped to use the productivity tools to their maximum potential. Since I need to point out examples, I will use the Microsoft Office product as my example. The current Office products are wonderful; they allow you to create and send email, outline tasks, provide for calendar sharing, capture notes, create documents, presentations, and spreadsheets, as well as maintain data. The tools also allow you to easily span data across products — in its simplest form, drag and drop from one application to another. According to SoftWatch, only 20% of Office users take advantage of the advanced functions available in the office suite and less than that in products outside of outlook, excel and word. Based on SoftWatch numbers, the average worker spends about 1 hour a day using an office productivity product and most of that hour is spent reviewing email. That’s basically 12.5% of every work week; I was expecting that number to be much higher, something in the range of 33%. How can this be? These products were created to make our business life much easier and we aren’t using them to their fullest. The biggest reason for this in my opinion, is the lack of knowledge and training of each tool. We were never given above- standard training on each product that would allow a user to be as productive as a company would expect. In most cases, users have had to learn on their own. We don’t provide enough feedback to the major office productivity tool developers as to what we want for office tools and how we expect those tools to interact with each other. In some ways, the big developers are going backward by making their applications work with tablets and phones. So, now we’re stuck with a 2D look and feel instead of the awesome 3D tactile feel. For example, Google’s mail is listed and grouped in an odd conversation way that is not that helpful for reading a mail thread. Because of the order of the email, it makes it difficult to understand where you are in the email and who you are replying to, especially if you are doing multiple forwards and replies to both people and in and out of the original conversation. If one doesn’t pay close attention, it is really easy to inadvertently send an email to someone you didn’t intend to. According to Rajen Sheth (Bort, 2015), a director of product management at Google, “Most people are reading and doing very light editing — our analysis has shown us that. If that’s the case, why would everyone always have to have Excel, etc.? You have lots of users and you don’t have to license them all for Excel or Office.” He goes on to insinuate that the population of creators and content authors is 10% or less. Again, Google’s philosophy is to take functionality away instead of thinking out of the box and creating a product that is improved. For those of you who have used Google’s cloud-based productivity tools, such as Google’s sheets, know that only 70% of the work done in an excel spreadsheet is compatible with sheets. You lose any macros and advanced development done in excel. I get the fact that most people will only read the displayed information, not the underlying formulas that create the data, but what if you need to verify the information or use the data as proof. There’s no substance behind the information and we could easily stick with the current HTML tools we’ve had available to us for years. Why bother having these cloud-based solutions if they don’t provide additional productivity? I was hoping that companies would push to follow the logical path of, ‘it makes sense, it makes it easier, and brings us to the next step in digital evolution’. So, what can be done about our current situation? Let your customers tell you what they want and give them something to choose from…what a concept! Anyone can take a poll of users to see what tools are not being used in a software package, that doesn’t tell you that the tool isn’t valuable, in my opinion, it tells you that the tools weren’t promoted or developed correctly. Most people don’t know they exist, and the big boys really don’t promote the functionality so, this is exactly why they aren’t being used. Software usage poll companies tell you what software features are or are not being used, not why. It would make more sense to understand the features, train people how to use the features, and get the most out of what is currently available. I wouldn’t say that this is a business liability; businesses shouldn’t have to pick up the tab for this type of education. This leaves one of a number of alternatives of which I will talk about two; the first, education, the second more intuitive product. The concepts behind the advanced features that exist in the office productivity suite should be taught at an early age. I’m not saying the actual advanced features of the office tools should be taught, but rather the concepts behind the features. For example, Excel in itself is one of the most powerful tools in the office suite. It’s not just a spreadsheet application, it can be used as a reporting vehicle, a database (of sorts), a word processor, a calculator, etc. It has built-in functions as well as access to the universal BASIC programming language that is available in most of the office products. So, as part of the elementary education system, we should teach our children how to program in BASIC and how to use SUM, AVG, CONCATENATE, STDEV, etc. The concepts behind these functions are necessary to survive in today’s business world, and are just as important as math, language, science, and art. Or, on the flip-side of things, we should make interaction between applications intuitive, we should be able to drop a piece from one application to another and tell the receiving application how and when the piece will be used. In the 1990’s there was a push for this type of design in the programming world, but it never made it into the business world. This is a shame because, since we have moved to a simpler 2D model, this type of object interaction would fit well in the mobile device world. 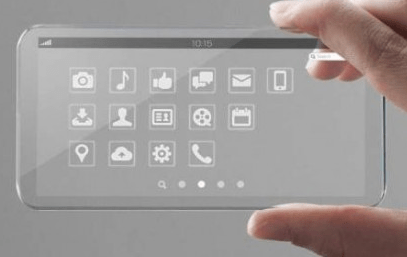 Recently, I have started to see new and cool items in the app world such as IFTT which is definitely a step in the right direction, but as a nation we should plan out some of our expectation and work with the businesses to deliver tools that are easy to use and make sense. Only we have the power to change the way business productivity tools enhance our business experience. It’s our voice and the necessity to work more efficiently and productively which will push the technical giants or the genius entrepreneurs to build the products we need; it’s just a matter of time. Also, we should help our future generations by teaching our children about office productivity concepts at an early age. Lastly, every business should include office productivity education as part of their on-boarding process. One last note, I can provide details behind at least one example that can be used to improve project productivity. Setting up the scenario, “the PMO has put together a number of standard tools that they require all project managers to use to be kept as artifacts of each project. These standards were put in place to give the sense of uniformity that regulators have come to expect. It makes their verification effective, efficient, and easy. This process is followed by every program and project manager within the organization.” However, the overhead involved in maintaining projects with these requirements is enough to make the process overly expensive and ineffective. I have found that the applications can share objects with each other very well through the use of macros or code; what do I mean by that? Let’s say you have a table in Word that you would like created in PowerPoint, there is a way to pull an object for one application to another without your intervention (drag and drop). In order to run this example, your will need Microsoft Word, Microsoft PowerPoint, and a PowerPoint file named Test2.pptx with a shape named “Text Box 2”. It helps if you know VBA but it isn’t required for this example. In PowerPoint, 1) create power point file named “Test2.pptx”, create a text box and select the format tab, and then press the selection pane button. Look to the right and select the text box in the selection and visibility pane, rename the text box to ‘TextBox 2’; save the file. 4) instead click on the Macros button and create a macro named Test. 5) Cut and paste the following code into the Macro, save the document into the same location that you saved the PowerPoint file and run the macro by pressing the play button. Note: Make sure you are displaying the test document when you press play. This will move your text box information from the document to the test Power Point file named “Test2.pptx”. Yes, this is a very simple example, but it shows that you have the ability to create productivity tools across the office suite. Additional functionality is left to the reader to explore.